Many believe breakfast is the most important meal of the day, but not all breakfasts are created equal. Setting the tone for your day by pairing good fats and proteins is a great start. 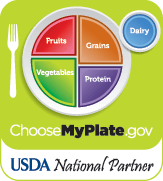 USDA’s My Plate recommends making half your plate fruits and veggies and varying your protein routine. One large egg contains 6g of high-quality protein, making it one of nature’s best protein sources. A 1/3 serving of a medium avocado is a good source of good fat. With a little help from our favorite green fruit, you can make an avocado frittata fit for your Sunday brunch Instagram post. Frittatas are a tasty family-favorite that are easy to prepare and can be decorated with avocado wedges. Crack 2 eggs per person and beat with a splash of milk and pinches of salt and pepper. Throw in a handful of shredded mozzarella and stir to combine. Cook in an oiled, non-stick skillet over medium-low heat until the bottom side is lightly browned and the top side is par-cooked. While this egg-centric entrée bubbles away, prepare your toppings. Crumble Cotija or feta cheese and slice avocado wedges to garnish your morning masterpiece. Upon removing the frittata from the skillet, fan your avocado slices atop the frittata and sprinkle on the cheese. To ensure your avocado puts its best pit forward, you will need to wash and cut it correctly. Place your dish under the broiler for 5 minutes, then remove your avocado frittata and enjoy. If you’d prefer a more integrated avocado flavor in your frittata, or you simply want to update your avocado recipe repertoire, mix half a creamy avocado into your eggs. It will substitute for the milk normally whipped into the eggs and make for a green, dairy-free break-feast. A perfectly ripe avocado is a must for this blending technique, so choose one with a dark skin that yields to slight pressure. Whip 6 eggs with half an avocado using a hand mixer, then season with pinches of salt and pepper. You can add bacon bits for a crunchy texture and salty kick, or grated cheese and chopped grilled vegetables can create a cocktail of fresh, savory flavors. Stir your choices into the egg-and-avocado mixture to combine, and place in an oiled, non-stick skillet over medium heat. Once the base starts browning, place the frittata on a dish and put it under a broiler for 5 minutes or until the top begins to caramelize. Green goodness inside or on top — your taste buds are winners either way with these egg and avocado breakfast bites. For more breakfast recipe ideas featuring avocados, check out our recipe archive.